When thinking about famous American fires, a few immediately come to mind. The Great Chicago Fire of 1871, for instance. Perhaps the fire that spread in parts of San Francisco after the earthquake of 1906, or the Triangle Shirtwaist fire in 1911. Michael L. Cooper covers these fires and seven others, some of which will be unfamiliar to most readers, in Fighting Fire! : Ten of the Deadliest Fires in American History and How We Fought Them. In short chapters arranged in chronological order, Cooper provides some historical context, describes how the fire spread and how people attempted to put it out with the equipment of the time. He also explains fire's effects; in some cases, how firefighting improved because of knowledge gained from the fire, while other fires led to broader changes—to the law, to the architecture of a city, and even, perhaps, revolution. "Some historians," Cooper writes, "have wondered if the Great Fire of 1760 [in Boston] added to the greivances that led to the American Revolution." Plentiful black and white illustrations and photographs are included, as well as source notes, a bibliography, and index. Cooper doesn't mention how he chose the ten fires he focuses on in Fighting Fire. It closes with the San Diego wildfires in 2007, the only wildfire among the ten. But disruptive as it was, it did not match the devastation—or have the long-term impact—of the Big Burn. During the dry summer of August 1910, fires began to burn in the forests of Washington, Idaho, and Montana. The U.S. Forest Service, then only five years old, was fighting to establish itself over the furious objections of many, including congressman who tried to de-fund it out of existence. Now the undermanned Forest Service was consumed in another fight, this one against the most destructive fire they had ever seen. But how was the Forest Service established, with foresters so determined to save and protect the land? This, too, is central to the story Timothy Egan tells of how, over the course of a few days, three million acres, including seven towns, burned and 87 people died. Today is the centennial anniversary of the start of World War I, once known as "the war to end all wars." (If only.) It was 100 years ago today that Archduke Franz Ferdinand and his wife, Sophie, Duchess of Hohenberg, were assassinated by a Serbian nationalist. As noted in this recent article in The New York Times, World War I may not have ended all wars, but it did change how they were fought. For one thing, it introduced the world to the use of chemical weapons; for another, it involved an enormous amount of soldiers from many countries. More than 8.5 million people died during the war, and another 20 million or so were injured. First Second Books will be issuing on September 23rd a spectacularly good (and horrifyingly awful, in the best sense of the phrase, meaning that it both horrifies and inspires a kind of negative awe) anthology pairing songs, a bit of prose, and the work of a number of war poets with the art of various comics contributors. 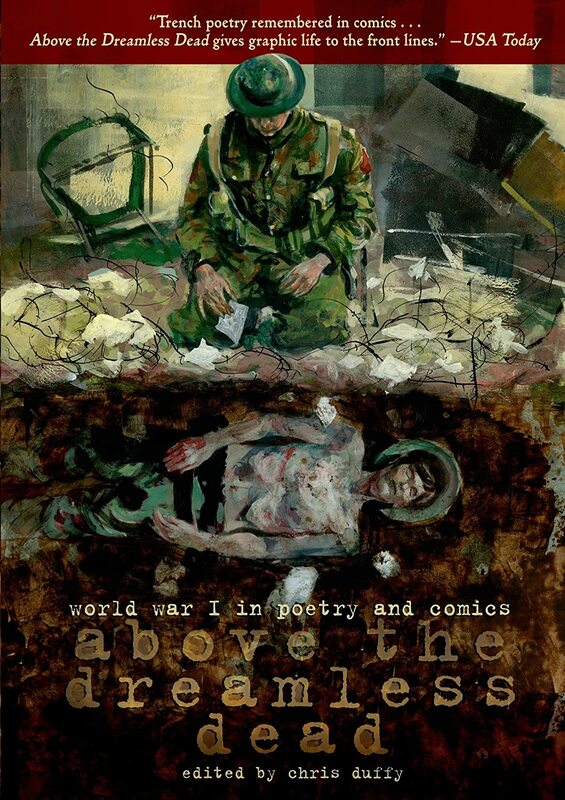 The book is entitled ABOVE THE DREAMLESS DEAD: world war I in poetry and comics, and it is edited by Chris Duffy. The title is drawn from the final phrase in Wilfrid Wilson Gibson's poem, "The Dancers". Labels: From Slam to Sonnets , Graphic Novel , War - What Is It Good For? When you think of authors who write "books for guys," the name Shannon Hale probably does not come to mind. Better known for her more feminine offerings (Princess Academy, Goose Girl, Ever After High), Hale is one of the big names in the middle grade to YA fantasy market. But her latest book, Dangerous, is a departure from the land of fairy tale and into a world in which Joss Whedon and Michael Bay would find themselves at home. Freedman is a master of history! He balances just the right amount of text with amazing historical photos to paint a picture of what the world was like in 1913 heading into the political nightmare that awaited it and the Hell into which the entire continent descended. We are initially introduced to the major players, their relationships to one another and rationale for why they would or would not get into a war with their neighbors. As events unravel, the tenuous peace that existed also began to fall apart spiraling into the deadliest and most horrific war humanity had ever experienced. Freedman explains the reasons behind the high killed in action and wounded numbers experienced on both sides. The advances in military power had far surpassed the advances in military tactics, thus allowing the defenders to quite literally slaughter an attacking force. Major battles are discussed with reference to the numbers of men lost on both sides, and the horrific conditions in which they were asked to fight. These conditions contributed heavily to the wounded and death toll. A superb example of a middle grade and older nonfiction book. 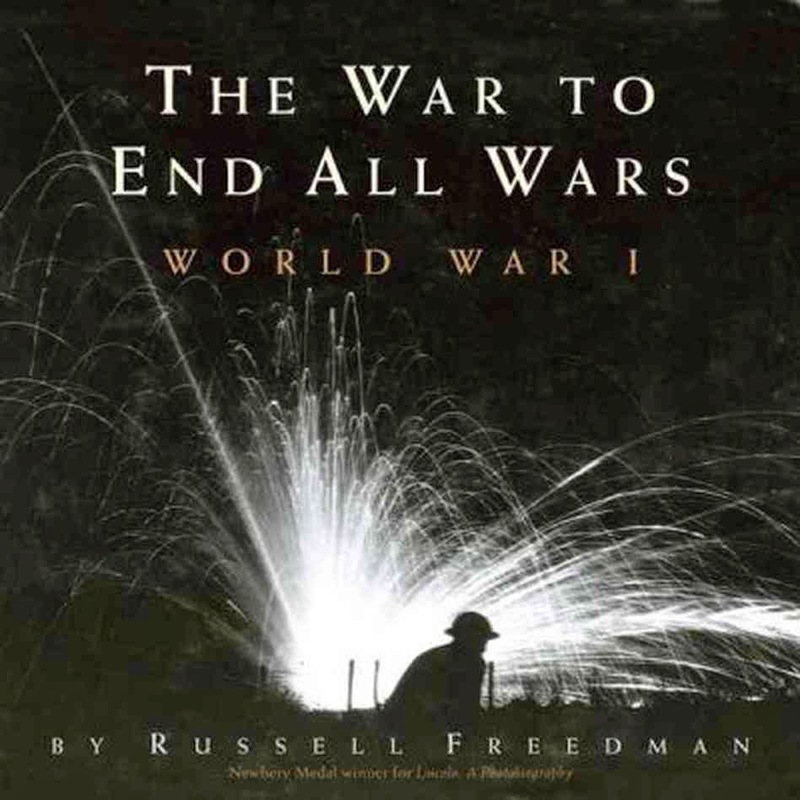 Kids interested in learning about World War I will devour this book. 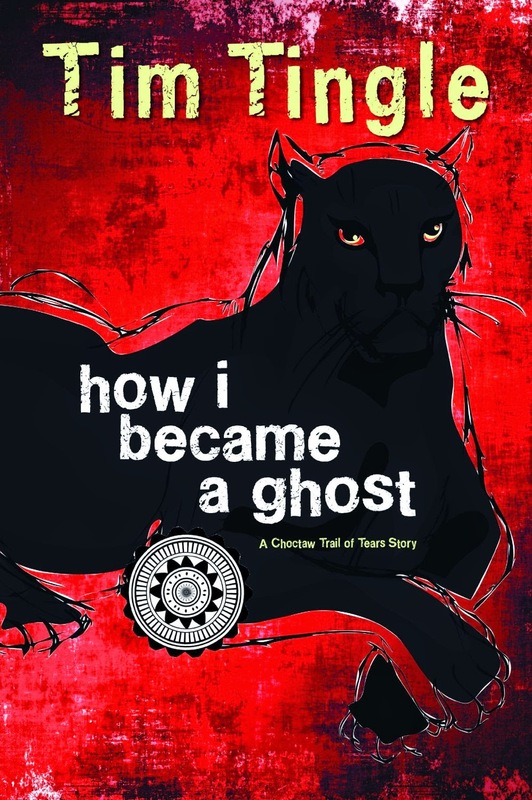 Everything about Tim Tingle’s How I Became a Ghost is lovely, startling, and original. I have never read anything quite like it and, odds are, neither have you. Tingle’s book, the first in a trilogy, was the 2014 American Indian Youth Literature Award Winner for the Middle Grade category. It tells the story of a 10 year old Choctaw boy named Isaac, who along with his family is driven by the US government off their land in Mississippi. Yes, this is a Trail of Tears story, but it’s not one you’ve ever heard in your textbooks before, because it is based on Tingle’s research and interviews with members of the Choctaw Nation and it uses the heart, humor, and beliefs of actual Choctaw people to describe not only the suffering of this historical event but their resilience and survival. There comes a point where Isaac confidently declares “We are Choctaws. We are stronger than the soldiers.” This, more than suffering and woe, is the resonant theme of How I Became a Ghost. 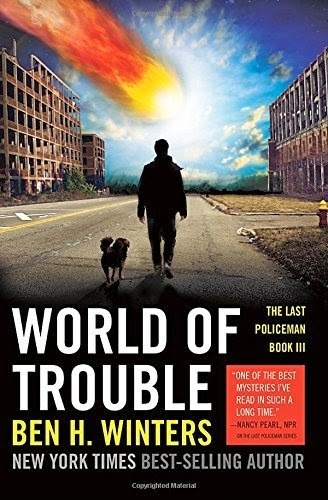 World of Trouble by Ben H. Winters is the last book in a trilogy starring detective Hank Palace taking place when the world is about the end. The first two books The Last Policeman and Countdown City were a good read and I was looking forward to reading the ending of the trilogy. Detective Hank Palace leaves the comfortable nest he shared with his friends in New England, waiting for an asteroid to hit Earth, to find his sister Nico. Nico has joined a group of revolutionaries who intend on freeing scientists out of jail so they can save the world. During his investigation Palace meets a cast of characters and observes a world gone mad with anxious anticipation to its destruction. World of Trouble by Ben H. Winters is a fitting end to a wonderful trilogy. I really enjoyed the fact that Mr. Winters doesn’t back out of the doomsday scenario he has created for a sappy Disneyesque ending which I was expecting. This novel ties up some loose ends which were introduced in the previous books, also the author concentrated on police procedural more than in the previous novels. That was a good call, I believe, since the first novel as well as part of the second, focused on how society has gone berserk in preparation of the impending doom. In his investigation, Palace meets many characters, some take advantage of the situation for their own benefit, some just try to survive, and some (like Palace) hang on to their jobs for sanity. Palace even meets an Amish man who told his family and community that the outside world has contracted an epidemic and they must stay enclosed in their own village, with no outside contact, in order to stay protected. This way the man believes he will spare his family the curse of anticipation. That, for me, was one of the highlights of the book. In the same style of the first two novels, Mr. Winters keeps the pace quick and the plot moving. While the details of the world falling apart are not as evident as they were in the first two, this novel is a fitting end, I would, however, recommend reading the first two before reading this novel. 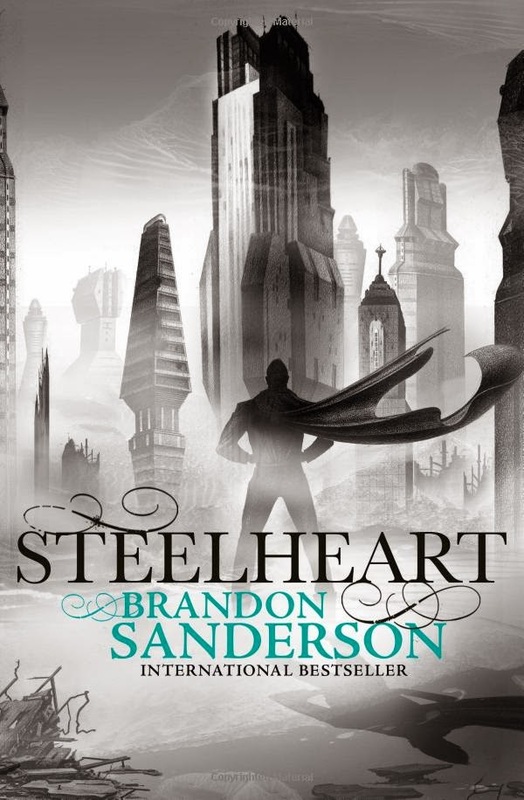 It's impossible for me to write an intro to Steelheart by Brandon Sanderson without hearing the voice of the late, great voice actor Don Lafontaine in my head. So here we go: In a world where all superheroes are evil and all hope is lost, a small group of rebels must work together to save the Earth from total annihilation. So that's Steelheart in a very small nutshell, although the actual story is a lot more complex and interesting: One day, something appears in the sky, people call it Calamity. It looks like a star or a comet, but nobody really knows what it is or where it came from. What they do know is that Calamity grants a random number of ordinary people super powers, they decide to call them "Epics." Also, for reasons unknown, the Epics are huge jerks. Each Epic has a specific power, like the ability to fly, see the future, create life-like illusions, repel females without speaking a single word - wait, that last one is my superpower. Since there are no superheroes around to stop them, each Epic takes charge of a city of their choice, ruling without consequence and degrading the quality of life for everyone living there. Just imagine if every major city was run by Rob Ford and you'll get the picture. 2. The fault in our stars has shone the spotlight on young people suffering from cancer. It is difficult enough to work and live normally after cancer far less maintain an athletic career but that is exactly what the plucky protagonist of STRIKER aspires to do. The True Tale of the Monster Billy Dean telt by hisself. This book is not for you. This is not a beach read, unless the beach is made of volcanic ash. This book is not inviting. It is daunting, from its fearsome cover to its black-edged pages to its almost entirely phonetic spelling. 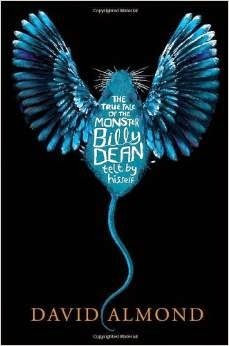 The True Tale of the Monster Billy Dean telt by hisself asks much of its readers. Your patience, your attention, your willingness to exist in ambiguity. Perhaps most of all, the book demands your acceptance that in the end not all will be made clear. The story won’t tell. Many will see these as reasons to avoid reading David Almond’s The True Tale of the Monster Billy Dean. I see them as reasons to seek it out. Labels: Everyone's Got Issues , Keeping You On the Edge of Your Seat , War - What Is It Good For? I've been looking forward to this one for a while and when it came up in Net Galley, I thought I'd give it a try. I'm glad I did. I'm not the biggest Abercrombie fan...I know, I should have my epic fantasy fan/writer card taken away for saying that. I started The Blade Itself, couldn't get into it and put it aside. Several years later, I picked it back up and started to get into it and it disappeared on me. (I think a certain little girl might have put it somewhere on me and I just have to find it again.) But I was eager to see what "Lord Grimdark's" take on "young adult" was like and it's quite stellar. It reminds me, in many ways, of a slightly more grown up version of the Ranger's Apprentice series, which I loved. (I'm only on book 5 and that's in my queue.) 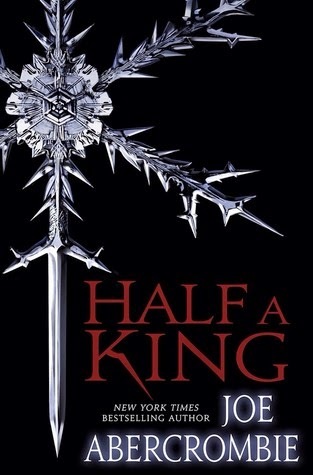 Half A King is top notch epic Viking fantasy for YAs! 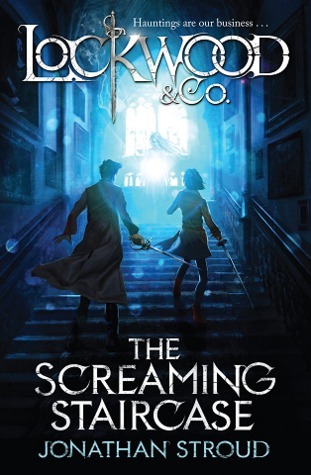 This was a very well done start to what will definitely be a fascinating and exciting series for fans of Harry Potter, Sherlock Holmes, and "Ghostbusters"! Jack is a sheltered kid on the cusp of puberty living with his Aunt Julia safely in Pennsylvania. Or at least he was living safely until his Aunt met with misfortune and Jack was forced to call his world-traveling parents home from their latest scheme, panning for gold in the Amazon. Jack's parents are everything Jack isn't: reckless, thoughtless, careless dreamers with no grounding in reality. Since abandoning Jack with his Aunt they have gone from one dead-end business to another but now they are forced back to raise a son who has more sense than they do collectively. 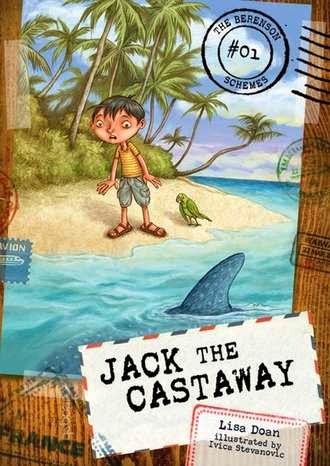 So begins Lisa Doan's Jack the Castaway, the first in a series aimed squarely at the emerging, struggling, or reluctant middle grade reader looking for an adventure series with humor and a sturdy story. Playing off the trope of kids being smarter than the adults that surround them, Doan has amped up this discord by giving Jack all the typical traits of a worry-wort adult and made his parents the equivalent of hyperactive teens. Where his parents wouldn't never even think of making a list or a plan before setting out on an adventure, Jack prefers the logical order of his life and would rather spend his time in school. Reunited as a family, Jack's parents think it only natural to bring their risk-adverse son with them to a tropical island where they intend to open a snorkeling enterprise, despite having no experience. But before long Jack finds himself alone on the water, then shipwrecked on a tropical island and... is that a shark keeping watch on him from the shore? There's a longstanding tradition of poems about war. Think of "The Charge of the Light Brigade" by Alfred, Lord Tennyson, or "Dulce et decorum est" by Wilfred Owen. Or Here, Bullet, a collection of poems by Brian Turner, a veteran of the Iraq war. 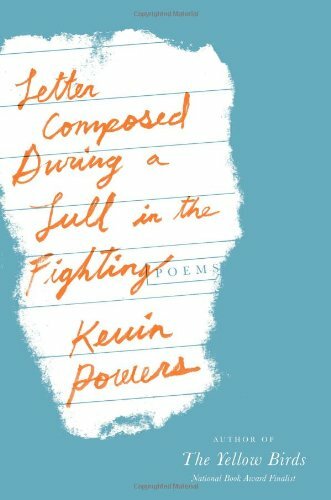 Kevin Powers, who was a finalist for the National Book Award for his novel, The Yellow Birds, joins those ranks with his new poetry collection, Letter Composed During a Lull in the Fighting: Poems, which includes several war-related poems in a collection that tries to make sense of life and death and the human experience. Powers served as a machine gunner in the United States Army and spent two years in Iraq. When I was eight or nine years old, after reading From the Mixed-Up Files of Mrs. Basil E. Frankweiler by E.L. Konigsburg, I came up with a plan. In order to avoid a compounding pile of math homework corrections, I would run away to Chicago where I would find a museum to live in, much as the characters in From the Mixed-Up Files had run away and lived in the Metropolitan Museum of Art. Unsurprisingly, my real life plan was not as successful as its fictional counterpart. I missed the city bus that was going to take me to the Greyhound station and I never recovered from this initial misstep. I was back home by 11 p.m. on the same day that I'd run away. But the point here is, Konigsburg was the first writer to ever inspire me to take action, to do something about my life. It was the wrong thing to do, just as it is, ultimately, for the characters in the book, but still . . .
Silent to the Bone, a more recent work by Konigsburg, is similarly powerful.